Breast milk is the perfect, complete diet for newborn babies. But what about premature babies? The milk produced by the mother of a premature baby is gestation specific and therefore richer in the very nutrients that a premature baby needs more of for the first few weeks. But is this enough for the tiniest premature babies with very specific needs? This article looks at the nutritional needs of the smallest premature babies and the pros and cons of human milk fortifiers. Breast milk is by far the superior nutrition for premature babies. When premature babies are fed cows’ milk products they have poorer health outcomes and lower survival rates. However, some studies have indicated that the very lowest birth weight babies may need more of certain nutrients than breast milk can provide. For example additional calcium and phosphorus may be needed to prevent osteopenia—bones with lower density and at risk of fractures, or supplements of vitamin D or iron may be needed 1 although the WHO states the evidence base for these supplements is weak2. Growth restriction or “under-nutrition” in tiny babies could be from placental insufficiency as well as inadequate nutrition after the birth. Whatever the cause, poor growth could permanently affect a baby’s longterm health 3. What are human milk fortifiers? These fortifiers can be bovine-, soy- or human-milk based. Most HMF used in NICUs are bovine based. However, due to concerns with powdered formula and HMF, many NICUs use a mixture of liquid preterm formula or various commercial protein powders and minerals compounded in the hospital pharmacy. Mathur et al 7 found breast milk alone was enough for very low birthweight babies, particularly in the weight group 1251-1500g. And Sullivan et al 8 found extremely premature babies fed with an exclusively human milk-based diet had significantly lower rates of NEC (necrotising enterocolitis, see below) than a diet that included cows’ milk products . VLBW* [very low birthweight] infants who are fed mother’s own milk or donor human milk need not be given bovine milk-based human-milk fortifier. VLBW infants who fail to gain weight despite adequate breast milk feeding should be given human-milk fortifiers, preferably those that are human milk based. *Babies are termed Low Birth Weight (LBW) if they weigh less than 2,500g; Very Low Birth Weight (VLBW) if they weigh less than 1,500g and Extremely Low Birth Weight (ELBW) if they weigh less than 1000g. For babies over 33 weeks gestation, breastmilk in sufficient volume (220ml/kg/day) is considered nutritionally adequate, although some vitamin and mineral supplements may be needed. The doctors in your baby’s Neonatal Infant Care Unit (NICU) will need to individually assess each baby taking account of availability of breast milk, your baby’s gestational age, and their medical needs. There is often great emphasis on making sure the baby gains weight at the rate he would if still in his mother’s womb. But there is no proof that this rate of gain is necessary or even desirable. In fact, there are studies in the medical literature that suggest that too rapid a weight gain is harmful. [Fortifiers] are intended to fix the “deficiencies” of breastmilk, but these “deficiencies” are, in large part, a function of how we feed premature babies. For example, the amounts we give them are very restricted much of the time. Prematures are often fed by the clock, typically every two or three hours. This is not normal for the baby born at term and I don’t see why it would be appropriate for the baby born prematurely. The “need” for fortifiers and preterm formulas disappears for some babies if we simply give them more breastmilk. How do bovine milk fortifiers help growth? Adding multi-nutrient fortifiers to breast milk is associated with short-term increases in weight, length and head growth. However by 12 months of age no differences were found between infants receiving fortified breast milk and those receiving unfortified breast milk 9. Lucas et al also report on a study that showed breast milk fortifiers can help short-term growth when breast milk intake is high, but long term benefits were not proven 10. Do bovine milk fortifiers help health? Whether or not health outcomes are improved by adding fortifiers can be difficult to establish because to do mass testing on vulnerable babies would be unethical. For each study citing benefits there seem to be many studies citing risks to the preterm baby’s health. it is well shown that feeding of cow products is also consistently associated with greatly increased chances of necrotizing enterocolitis, respiratory infections, other infections (sepsis), and other health risks including reduced survival. Re-hospitalizations are also more frequent in preterm infants who had been receiving formulas. The studies that have taken diet into account show greater developmental and intellectual benefits to fully human milk-fed preemies, as well as overall survival benefits, even though their weight gain is slower. More episodes of necrotizing enterocolitis (NEC)— the most serious life-threatening gastrointestinal disorder that occurs for premature babies 11 12. More episodes of diarrhea and urinary tract infections with more antibiotic therapy 13. Increased osmolarity (concentration) of the feed increases morbidity, risk of gastrointestinal disease including NEC, or bowel obstruction 14 15 16. More episodes of gastroesophageal reflux 17. Bovine fortifiers cancel some anti-infective properties of human milk, eg lactoferrin, lysozyme, IgA specific to E coli 18 19 20. Recent research showed a bovine fortifier reduced white blood cells by 76% and lipase activity (enzyme digesting fats) by 56% and a decrease in total protein 21. Bovine fortifiers increase the risk of contamination of breast milk because powdered fortifiers are not sterile, and liquid fortifiers dilute breast milk’s anti-infective properties 22 23. Introducing cows’ milk protein to premature babies increases their risk of allergy 24 and diabetes mellitus 25. Artificial feeding is associated with increased gut permeability and decreased lactase activity (a marker of intestinal maturity)26. Particular issues identified with soy based formulas include low bioavailability of soy protein for low birth weight infants, poor growth, low plasma levels of methionine, chloride and iodine, and high levels of aluminium and phytoestrogen (WHO, 2006). Studies referenced above by Chan et al and Quan et al found that the cows’ milk protein in human milk fortifier and cows’ milk formula can prevent some of the important anti-infective properties in human milk from working. Rates of necrotizing enterocolitis were also significantly higher in infants fed mixed human and bovine-milk products compared to those fed exclusively human milk. Skin-to-skin contact and kangaroo care can significantly help a premature baby’s rate of growth. The calories in breast milk can be increased by using ‘breast milk cream’, the fattier proportion of breast milk, see Breastfeeding a Premature Baby. Milk banks usually give priority to premature or sick babies should a mother be struggling with her milk supply. See organisations such as the Human Milk Banking Association of North America (HMBANA) or the European Milk Banking Association (EMBA) to locate a milk bank in your area. Human milk is far superior for these vulnerable babies. When it comes to adding fortifiers or other additives to breastmilk or not, there seem to be as many practices as there are NICUs. Controversy exists about many common and current practices. Although current thinking is strongly in favor of fortifying human milk with additions of cow milk products, I am unable to find one study that shows human milk fortifiers provide survival benefits; reduced disability, such as blindness or cerebral palsy; or other neurological or health benefits. I find only studies showing increases in early growth along with increases in illnesses, with formula additions to breastmilk. First Steps Nutrition Trust is a charity providing evidence-based and independent information and support for good nutrition. 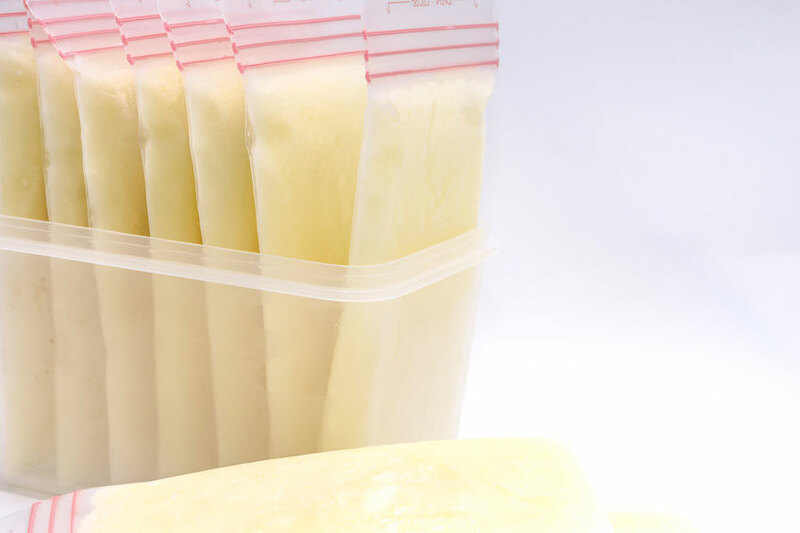 Their document linked above has a useful section on breast milk fortifiers including a comparison of nutritional content of commercial fortifiers. Bliss, is a charity working for premature and sick babies. Bliss minimise health concerns about bovine fortifiers calling them “minor risks” in the long discussion paper linked above. They recommend fortifying all babies born less than 1.5kg and born earlier than 34 weeks, and to consider fortifying babies 1.5-2kg birth weight. There do not seem to be any easy answers for parents of premature babies on the wisdom of adding bovine fortifiers to human milk, other than a general consensus that babies over a certain size do not need them. There seem to be many documented risks associated with the practice. Each baby will need special nutritional evaluation on a case by case basis by their Neonatal Intensive Care Unit (NICU). More research is needed.